The Gladstone Arms to close? It would provide Zone 1 with another nine luxury flats (I use that qualifier advisedly) that it doesn’t need, at the cost of a community resource it does. The Gladstone seems to me (I’m no insider, though I’ve played there probably 10 times with either James McKean or Yo Zushi, pop in there on occasion for a pie and/or a drink after rehearsal round the corner, watched friends play there, and know a former member of the pub’s staff) to be in a pretty healthy state, with Sunday evenings being perenially popular. I doubt that any pressing financial need to close is behind the application. Simply, when Sartorio Ltd bought the Gladstone from Punch Taverns in 2014, it bought a patch of land on which it could build for profit. That there was a pub on top of the land being bought was a mere detail to be worked out later. Pubs close all the time (a BBC report from earlier this year says the figure is 29 a week), with changing demographics, the smoking ban, high beer taxes and cheap supermarket alcohol usually blamed. 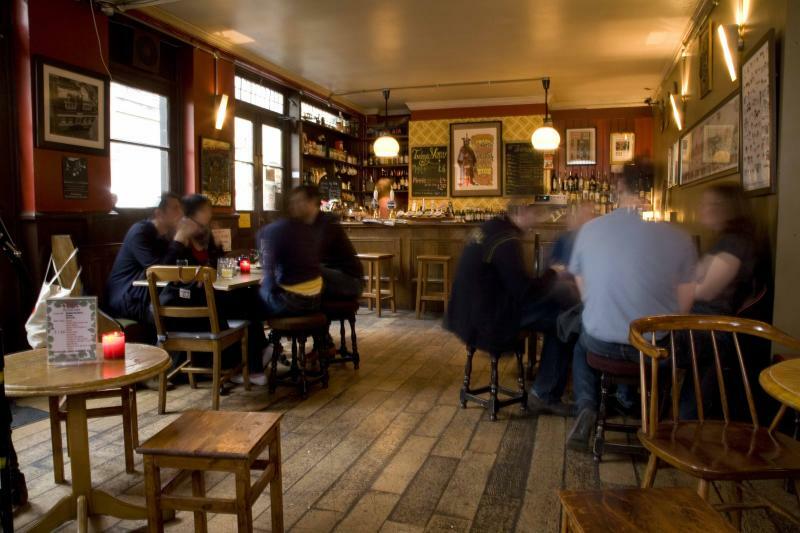 Not all of these ex-pubs deserve eulogies: a lot of boozers are horrible, staffed by the unfriendly and incompetent, and patronised by the aggressive and the cretinous, with beer that I wouldn’t wash my dog in, had I a dog. And I say that as someone who still always chooses a pub over a bar or a cafe as a preferred hangout, and this long, long after I stopped drinking alcohol. The Gladstone is different: a considerate neighbour (the manager insists that drummers play with hot rods or brushes rather than sticks, in deference to nearby residents) and a genuine centre of a community of musicians and music fans, who all hold it in high esteem, its loss would be felt far beyond its immediate environs (it rankles that, as a resident of Lewisham, I can’t sign the e-petition on Southwark council’s website). Again, the bar or restaurant promised by the developer for the ground floor is unlikely to give as much to the community as the Gladstone does and would no doubt continue to. This has to stop. Piece by piece, London is being lost to the people who live and work in it. In a system that worked, planning laws would prevent this. Let’s hope that just this one time – for heaven knows that planning laws don’t usually work – a valuable piece of a community can be saved and the profiteers sent packing. *Black Architecture is a practice that is capable of good work, as its King’s Cross “Veggie Pod” scheme for Gasholder No 8 evidences. The proposed Lant Street block, though, is just a collection of identical units built off site to be connected to the building’s concrete core. We shouldn’t knock down so much as a sandcastle to make way for it, let alone a thriving pub like the Gladstone Arms. This entry was posted in London, Music and tagged bad buildings, Borough, gentrification, Gladstone Arms, good venues, good venues closing, Lant Street, live music, London, property speculation, pub closing down, pubs, redevelopment, venues closing on August 16, 2015 by rossjpalmer.